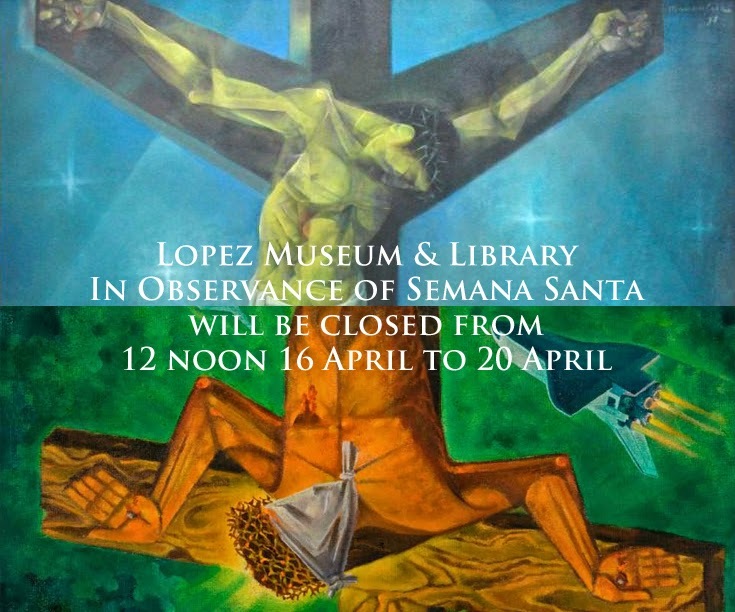 The Lopez Museum and Library will be closed to the public from 12 noon on April 16 (Wednesday) and throughout the rest of the Holy Week. Regular operations resume on April 21 (Monday). A blessed, restful and contemplative holiday to everyone! Top Image by Vicente Manansala, Bottom Image by Galo Ocampo. Lopez Museum Collection.